Congratulations to "JoAn V.", the winner in M.J.'s giveaway. Thank you to all who participated! What does it say about a person if the number of charms on their key ring is greater than the number of keys? To me it says that person has learned how to successfully dodge responsibility. Kudos! We all know that the more keys a person has the more important they are. For example, in schools, if you really want to get something done, you need to get the help of either the janitor, the secretary, or a lunch lady [I throw the last in because my day job is lunch lady ;) ]. Am I right? And what do they give dignitaries? A key to the city! I’m proud to say my key ring contains only three keys. My gal pal Kelly and I joke that we want to avoid responsibility as much as possible. But I know that some of you are more ambitious than us and actually *gulp* take on responsibility with relish. There’s something in this article for you, too. As much as Kelly and I don’t like to act responsible (i.e. act like adults) sometimes we are forced to. So slacker or power hungry, you have to learn to handle responsibility and I’m going to give you some tips on how to do that. One. Learn to prioritize your responsibilities. Unfortunately, this means work comes before fun. I actually had a discussion about this with my teenaged son today. He claimed he didn’t have time to take out the trash this morning, his chore. My response was, but you did have time to sit on your bed and mess with your tablet earlier. You’re not making your responsibilities around the house a priority and that’s not fair to the rest of us living here. I mean, come on, I’m not asking the boy to climb mountains. It takes five minutes to take out the trash. But I digress. Recently the members of my writing group nominated me as treasurer (because no one else wanted the position). Upon telling my husband about it he spouted out, “Who in their right mind would put you in charge of money?” To which I replied, “Weren’t you listening? NO ONE in their right mind, but my writer friends did.” Today I need to make out the deposit for the dues, which is a chore that should really take me all of five minutes, but I still dread it. I also need to read something the bank sent me regarding this account because it might say something pertinent in it (although I doubt it). In order for me to get through these heinous activities I have to tell myself that I will be able to get in some writing time afterwards. Three. Reward yourself. This is for you ambition junkies out there. You need to remember to reward yourself for all of your hard work every once in a while and make time to do something frivolous or simply mindless. For instance, you all showed up for work this week, right? So you should be able to kick back and read a little romantic suspense. And have I got just the thing for you! 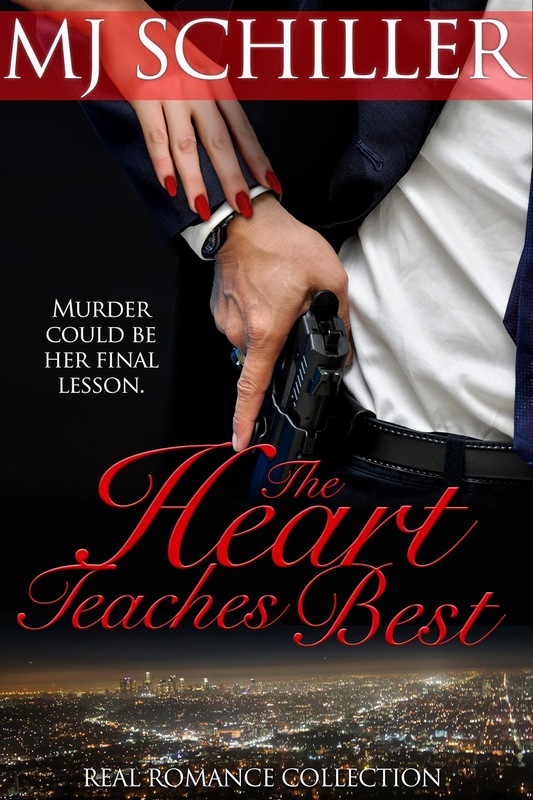 Following this article is a blurb from my romantic suspense THE HEART TEACHES BEST. Go ahead. Treat yourself! What are some of the responsibilities that you have to really work yourself up to accomplish? Do you have any tricks that make handling chores easier? Please join in today’s discussion by commenting below. And be sure to enter my giveaway for an e-copy of my romance AN UNCOMMON LOVE. Cooper Sullivan is the cop in charge of investigating a murder outside of a Los Angeles night club. The famous romance author, Sydney Essex, has been found strangled in the parking lot. When the young officer returns to the scene of the crime the night after the murder, he gets involved in a fight in order to protect a woman, who he realizes afterward, is the victim’s sister. Soon he finds himself torn by his attraction to the irresistible blond teacher, and his need to maintain a professional distance. Laney Essex is distraught over her sister’s death, so the high school English teacher returns to the bar where the crime occurred to find answers. To her dismay, she is only left with more questions, many centered on her developing relationship with Cooper Sullivan. Is the pull she’s feeling towards him reciprocated, or is the handsome detective only showing her professional courtesy, or, perhaps, even pity? But he’s the one teaching her lessons of the heart. When Laney receives a threatening phone call from Sydney’s murderer, it quickly becomes evident that the man who killed her sister is after her, too. Can Cooper figure out who the killer is before it’s too late? And if he does solve the case, will it just be another file stamped “CLOSED” in red and locked away in a drawer, or will the sparks that have been flying between the two finally ignite? “Ooh!” he responded, leaning in to press his lips to hers. “I love it when you get all teachery with me!” He took the kiss deeper and she found her heart beat beginning to race. She pulled back, aflutter, feeling the heat rise in her face and chest. “Why do I suddenly feel like this is the Apple of Temptation?” she asked, pushing back in her rolling chair to put some distance between them. Cooper picked it up and tossed it up and down. Watching the apple, Laney didn’t realize how close he had gotten until he snatched the apple out of the air, and laid it back on her desk, bringing him within inches of her. “You can call it anything you want,” he said with a wicked smile. She tried to back up again and rammed her back into a tall, metal filing cabinet. He burst into Van Halen’s “Hot For Teacher” and air-guitared away from her, hopping on one leg. Now that she was able to breathe, his proximity making it difficult before, she laughed. “Don’t give up your day job, Sullivan.” She sat back down and pretended to be engrossed in adding grades to her grade book, running her finger down columns and marking in it. He strode smoothly back over to her desk. “S-o-o-o,” he said, running the back of his finger down the side of her face as he leaned against her desk. “You’re telling me you’re not in the least bit turned on right now?” His voice was almost a low purr. MJ is a lunch lady in the heart of Central Illinois. My gosh, can you get more folksy than that? She met her husband at the University of Missouri-Columbia and now she has an nineteen-year-old (how did that happen?) and seventeen year old triplets! She loves to read, karaoke (where she can pretend she is a rock star) and spends WAY too much time on Facebook. She grew up in St. Louis and still has family there. Giveaway ends 11:59pm EST March 10th. Please supply your email in the post. You may use spaces or full text for security. (ex. jsmith at gmail dot com) If you do not wish to supply your email, or have trouble posting, please email maureen@justromanticsuspense.com with a subject title of JRS GIVEAWAY to be entered in the current giveaway. I have a hard time getting motivated for anything any more. I'm ready for someone to take care of me for a change! Lol! Thanks for having me on again today. I love chatting with readers on Just Romantic Suspense! Great post. I was raised by two parents, one an Air Force Master Sergeant, whose rule was work then play. That in embedded in me as deep as my DNA. Managing all the daily responsibilities can be so boring---especially when you want to write. Since I can't function or create surrounded by mess, I have a system where I clean for so many minutes and then then give myself the same amount of time to do something I enjoy. [vacuum the main part of the house--watch Big Bang] :) It keeps me from getting grouchy. Of course writing is a job and I make time for that. Sounds like maybe we all struggle with wanting a little "me" time. Thanks for joining the conversation this morning, Nancy! Uh oh, I have a TON of keys! Thanks for the helpful and amusing post. Love your excerpt! Somehow that doesn't surprise me, Alicia! It goes with the tons of hats that you wear. Well, somebody has to be responsible. I'm just glad it's not me! ;) I appreciate you stopping in and have a great week! I don't have any responsibilities any more so I don't have anything that is hard for me to work myself up to do. When my house was full of kids, there was never enough time to do everything so I couldn't put off the stuff I didn't want to do. Now I just read and write book reviews. Good for you! You've paid your dues and now you are getting to do the things you love to do. That's awesome! Thanks for joining us, Jo-Anne! 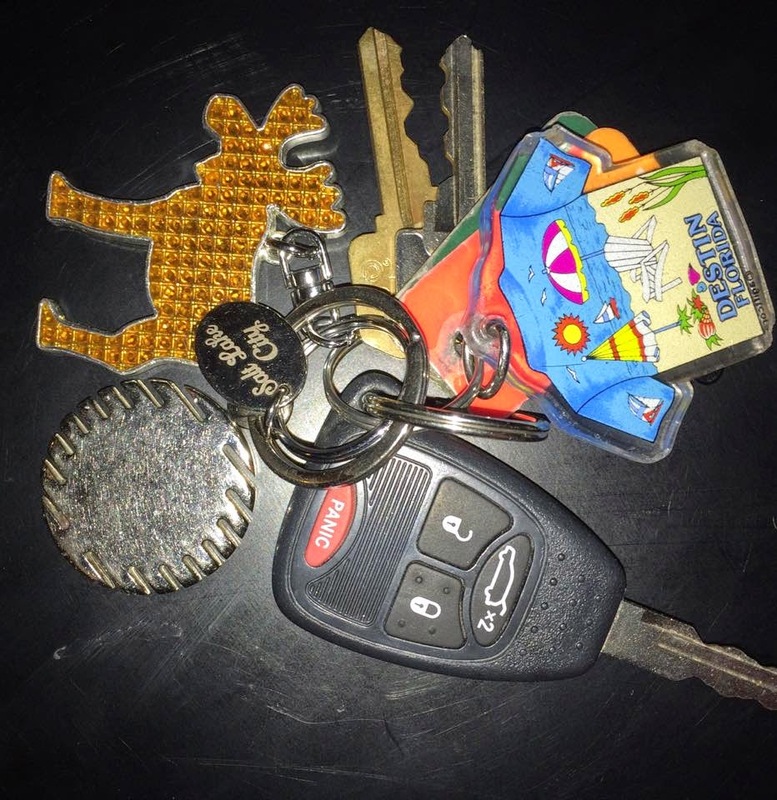 Love your astute theory about keys! Yummy excerpt! Funny thing I forgot to mention, when I was elected treasurer for my writing group, the position came with a key to our post office box! The first week I almost left it as a tip at Starbuck's! Awesome advice in your post. The excerpt is terrific too. Thanks! Thanks, Marissa! And I appreciate you stopping in and commenting. Have a super, fantabulous week! To mimic Marissa: awesome. Love the advice, MJ [I have too many keys to count. Maybe it's the Nana responsibilities here]. Diana's blog is wonderful!!!! I could easily hate you. You must divest yourself of the keys! Keys=no fun. I repeat, lose the keys! ;) Just kidding. Unfortunately our responsibilities don't go away just because we decide to do something else. Today I have to actually fill out an actual treasurer's report! I wish I had a root canal to attend! Thanks for popping in and sharing your thoughts with us! I have three keys... sometimes it is hard to set aside something that is fun or makes you happy knowing you have something else that needs to be done... I try to loosely plan things... get the required things done and out of the way. I'm with you, Colleen. It does feel good to have them behind you and then you can really relax and enjoy whatever reward you choose. Thanks for adding to our conversation! Oh, my gosh! That sounds wonderful! Well congratulations! You've paid your dues to get where you are and you should enjoy every minute of it. And thank you for your kind words about my excerpt. If you get the opportunity to read it some day I hope you enjoy it. Have a great week and thank you for chatting with us! It happened at our Christmas dinner. They told us no one could eat until we had a treasurer. I was hungry! Oh, my gosh, Joan! That sounds wonderful! Well congratulations! You've paid your dues to get where you are and you should enjoy every minute of it. And thank you for your kind words about my excerpt. If you get the opportunity to read it some day I hope you enjoy it. Have a great week and thank you for chatting with us! Oh, yes, Cheryel, you must play mind games with yourself! It's so much better that way! ;) Thanks for joining us! I hear you about being treasurer. Ours quit and nobody would take it on. I'd already been there, done that so 2 of my so-called friends groveled. LOL I have to stay away from social media in the morning (my best writing time). Great except, kiddo! Thank you for your kind words, Susan, and for popping in and commenting! All I know is that once I have cleaned the house from top to bottom, I loathe cleaning, I reward myself. Oh, me too, Mary! It seems like such a waste of times and frankly, I think my talent is being wasted on cleaning toilets! It is much better put to use at karaoke! Thanks for joining us and I hope your week has gotten off to a good start!